Visit our stand at Budma Fair 2017. Our presence at the fair is related to several new products. This time, these include products for home interiors. We will present them for the first time at the fair, which will be their first day on the market. These exciting products of an unusual aesthetic value make the quality of healthy living under the roof of such houses invaluable. This is all due to a clay plaster we will offer under the Heritage brand –a grand return of the best finishing materials. The other product mentioned are stoves made using chamotte tiles – unique free-standing stoves and traditional brick stoves – characterised by exceptional efficiency. In our manufacturing plant, we have fulfilled numerous special orders, some of which involved renovating historic buildings. One of such more interesting projects involved recreating Korean-style clay roof tiles. Furthermore, we are constantly evolving and reorganising our business – we are building the foundation for improving profitability of our wholesale customers. 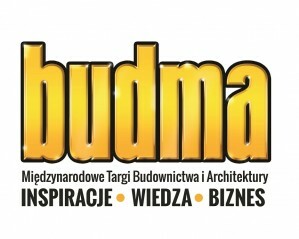 We trust that Budma is the right place for discussing common interests, collaboration and for strengthening relations that we, as a family business, consider a priority. You can find us throughout the term of the fair, that is from 7th to 10th February 2017, at stand 5 in pavilion 7A. You can contact us during the fair at our mobile +48 691 161 464.